Jabees Beebud – a new wave of ultra-lightweight true wireless earbuds. The Jabees Beebud are perfect for when you are on the go and don’t want tangly wires inhibiting your movement. These are an example of a growing market for true wireless earbuds, which have many applications in day to day life. 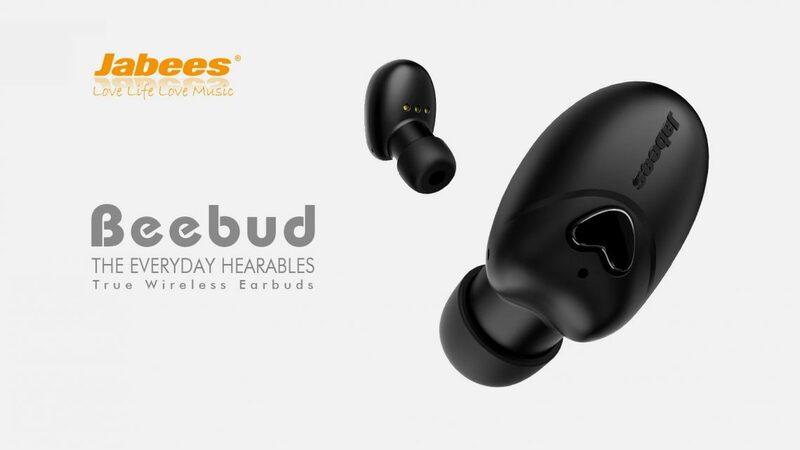 With great sound quality, modern design, and an awesome charging carry case, the Jabees Beebud have everything you would want from a pair of wireless earbuds. The Jabees Beebud headphones are wireless with Bluetooth 5.0 technology and allow a range of up to 10 meters. You can enjoy up to 3.5 hours of music or conversation playback , and up to 100 hours of standby time. They are supplied with a charging box with a battery capacity of 500 mAh, to make up to 3 additional re-charges for the 2 headphones. You can use either one bud or both buds at the same time, depending on your need at that particular time. In addition, they feature AUTO / ON / OFF technology that allows automatic starting when you remove the headphones from the charging case via sensors, and when you put them back in the case they automatically turn off and recharge without touching any buttons. These headphones are ultra lightweight (only 4 grams per earbud!!) and very comfortable. The ergonomic design of the headset is achieved through a variety of silicone tips of different shapes and sizes, for a perfect fit. Shop the Jabees Beebud here. Interested in other Bluetooth Headsets for Mobiles and Tablets? Shop our range on our website by clicking here. Next post What is Zoom Video Conferencing?